Despite the presence of two current animated occupants in my yearly top ten films list, 2018 in cinema has disappointed me with its barren animated landscape. The legacy of the Parr superhero family’s long-awaited return in Incredibles 2 sinks by millimeters as the days pass. I struggle hard to suppress my awareness of Ralph Breaks the Internet’s Disney-indulgent marketing and Spider-Man: Into the Spider Verse’s over-revealing trailers. Beyond the few underseen anime gems, everything else has been either harmless filler (e.g., Hotel Transylvania 3: Summer Vacation and Teen Titans Go! To the Movies) or low-quality and dated Chinese imports (e.g., Duck Duck Goose) dumped on streaming. Because of this, Warner Animation Group’s Smallfoot comes off somewhat as a breath of fresh air. Most of its elements amuse and play safe, never venturing beyond passable. On the other hand, the general crux of its story, written by director Karey Kirkpatrick and Clare Sera (adapting Yeti Tracks by Sergio Pablos), presses audiences to ponder over its takeaways for some time. Migo (Channing Tatum) is a member of a yeti village that lies hidden on a Himalayan peak that stretches above the clouds. The yetis believe that nothing exists below the clouds, according to the ancient stones that compose the robe worn by community elder the Stonekeeper (Common). Dorgle (Danny DeVito), Migo’s father, holds the special task of banging a gong with his head to bring up the big “light snail” in the sky. While training to succeed his father in the role, Migo witnesses a plane crash and encounters the long-fabled “smallfoot”. Failing to provide proof of his discovery to his fellow simple-minded yetis, the Stonekeeper banishes Migo from the village. Determined to prove them all wrong, Migo receives help from the Smallfoot Evidentiary Society (S.E.S. ), which includes Gwangi (LeBron James), Kolka (Gina Rodriguez, a standout from Annihilation), Fleem (Ely Henry), and secret leader Meechee (Zendaya), the Stonekeeper’s daughter and Migo’s longtime crush. Good thing TV host Percy Patterson (James Corden) is currently in the region trying to save his failing wildlife documentary series. Right from Channing Tatum’s expository opening voiceover, Smallfoot presents itself as a likeable fable. Its somewhat satirical take on blind faith and openness to the sensible and measurable world beyond, however, will bring slight discomfort to those of a Judeo-Christian background. In several ways, Smallfoot does have an askew view on that perspective. The Ten Commandment-like stones, which form the priest-like Stonekeeper’s robe, serve as numerous rigid rules from which the yetis must never stray, either by deliberation or even curiosity. That twists the primary and underrated lesson of the Old Testament—that spiritual death is worse than physical death—that God’s chosen people fail to grasp time and again, from the Garden of Eden to Calvary and beyond. Lastly, while all of salvation history culminates in Jesus Christ and going out to bring the whole world to him via his spouse (the Church), the yetis live as though the Jews never descended from Mt. Sinai. The practical insights on tribalism are valid and valuable, but the tendencies of a fallen nature and the harmony of faith and reason are part of the journey to live the true teachings. Non-discerning viewers might not manage to keep these in mind. Smallfoot couches that challenging subject in a modest plot that shifts between two locations—the yeti village on the mountaintop and the human village in the adjacent valley. No one in particular stands out from the voice cast, and I still wonder whether the movie featured just enough Ely Henry (as comic relief yeti Fleem) or could have featured him more. Smallfoot’s biggest missed opportunity is the lack of time spent with Danny DeVito as Migo’s father Dorgle and the inevitable disillusionment from his village role—reminiscent of the titular rooster character from the play Chantecler by Edmond Rostand. Co-written by director Kirkpatrick and his older brother Wayne, the musical numbers (playlist here) are catchy for the most part. “Perfection” seems inspired by the easygoing lyrics of “Life’s a Happy Song” from 2011’s The Muppets and the sunny mood of “Another Day of Sun” from 2016’s La La Land. Score composer Heitor Pereira features the song’s melody in major and minor versions later on. “Wonderful Life” borrows the rousing spirit of “How Far I’ll Go” from 2016’s Moana. The mixing of Zendaya’s voice sounds odd at first, but the song does get a fair reprise version involving the whole yeti village when Migo introduces them to Percy. Common’s bars in the villain song “Let It Lie” start fair and then escalate towards the end to punctuate the song’s dark insights. On the other hand, there is “Percy’s Pressure”. Not only did the Kirkpatrick brothers include Queen and David Bowie’s “Under Pressure”, one of the most overplayed songs in pop culture, but they had the gall to rewrite the lyrics. Easily one of the most embarrassing moments of 2018 in cinema. 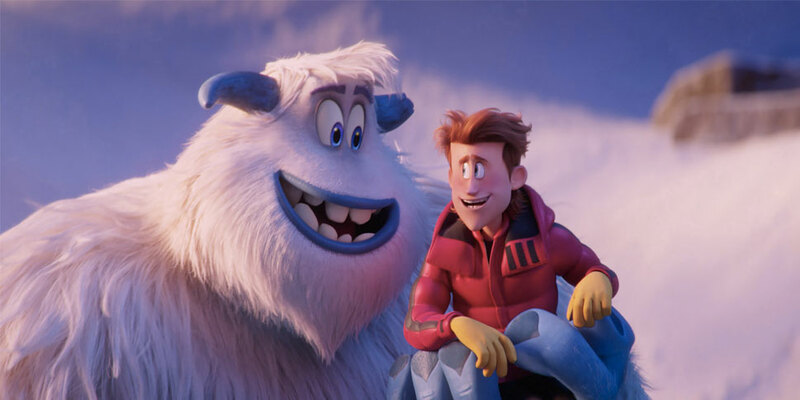 Smallfoot’s subject matter and catchy songs manage to ultimately overshadow much of the animated comedy musical’s more cringeworthy touches and slapstick asides. Future audiences might continue to find its pressing questions worthwhile, especially if some sort of sequel is in order. 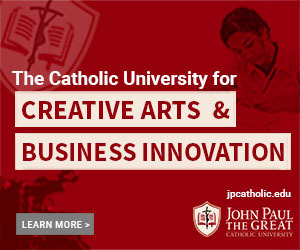 Christian viewers especially need not shy away from such family fare. After all, the surest way to discover the strength of one’s faith and love is when it is put it to the test.